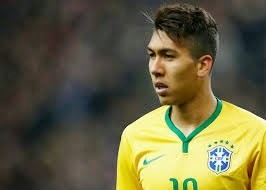 Manchester City are poised to beat rivals Chelsea and Arsenal to the £20m signing of Brazil sensation Roberto Firmino. Etihad bosses have been tracking the Hoffenheim attacking midfielder for several months along with London neighbours the Gunners and Blues. But Starsport understands the deposed champions are in pole position to land him this summer. It is understood City officials have held advanced talks with Hoffenheim bosses and Firmino's representatives and are confident of closing a deal. Firmino joined Hoffenheim in 2011 for an undisclosed fee and has gone on to become one of the most impressive stars in Bundesliga. He signed a contract extension with the German outfit in 2014 that ties him to the club until 2017. But he has told friends he would like a new challenge and is desperate to join one of the Premier League's biggest clubs. The Germans are now willing to cash in on their prize asset at the end of the season and Firmino is seen as someone who can help plug the gap set to be left at City by the departing Yaya Toure. Firmino's reputation has been on the rise in the last couple of seasons and he earned his first call-up to the Brazil squad earlier this season. He scored the winning goal against Chile in the international friendly in London earlier this season and is expected to be offered a long-term deal worth around £80,000-a-week at the Etihad.